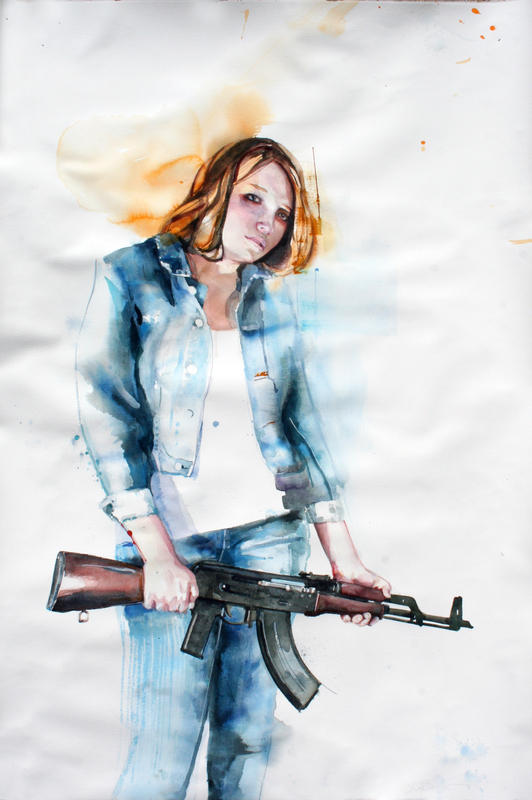 Home / War Zone: What if? 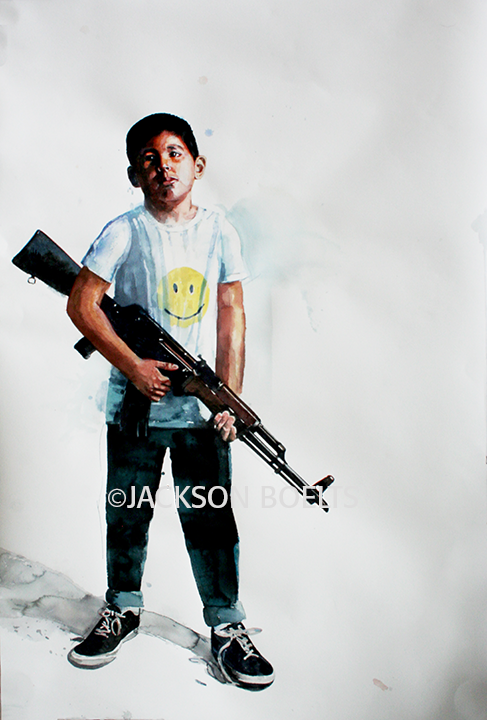 One reason for this (children in war) is the proliferation of light weapons. 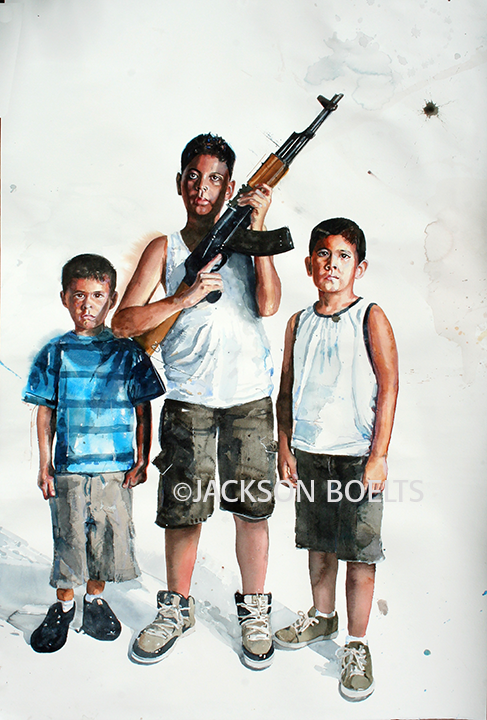 In the past, children were not particularly effective as front-line fighters since most of the lethal hardware was too heavy and cumbersome for them to manipulate. 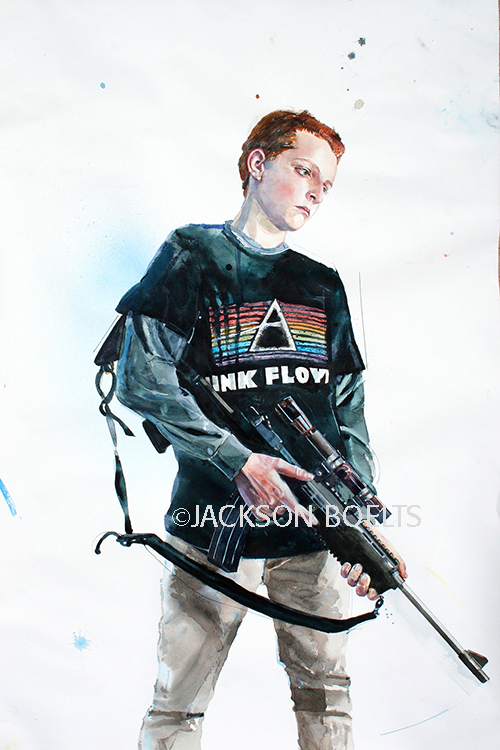 A child might have been able to wield a sword or a machete but was no match for a similarly armed adult. 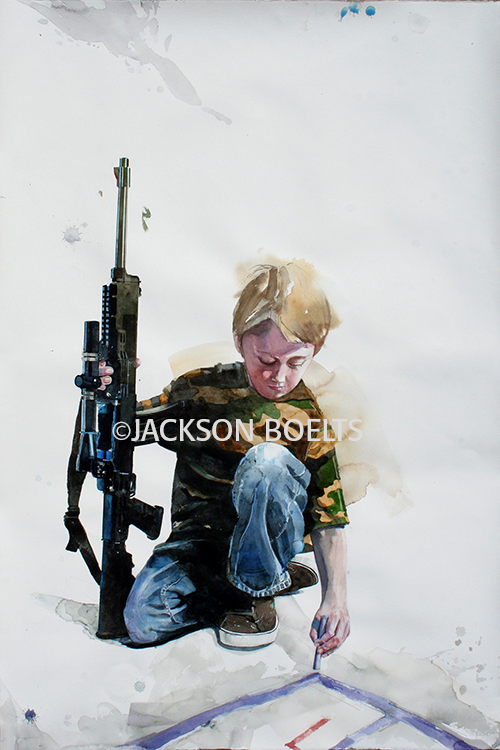 Jackson Boelts’ current research pertains to the trauma imposed on children by war and light weapons. 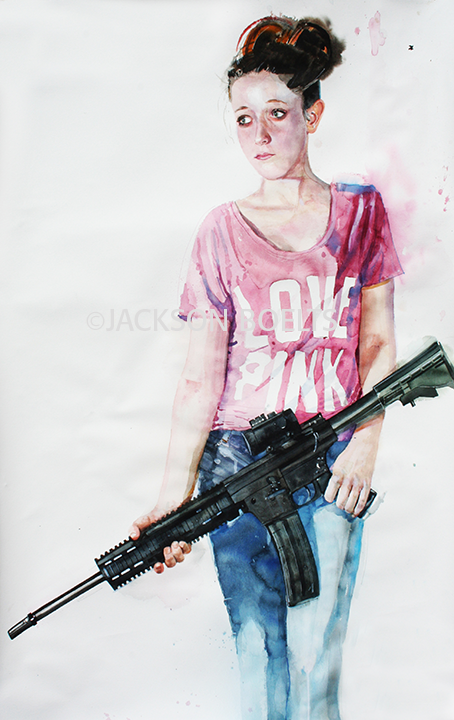 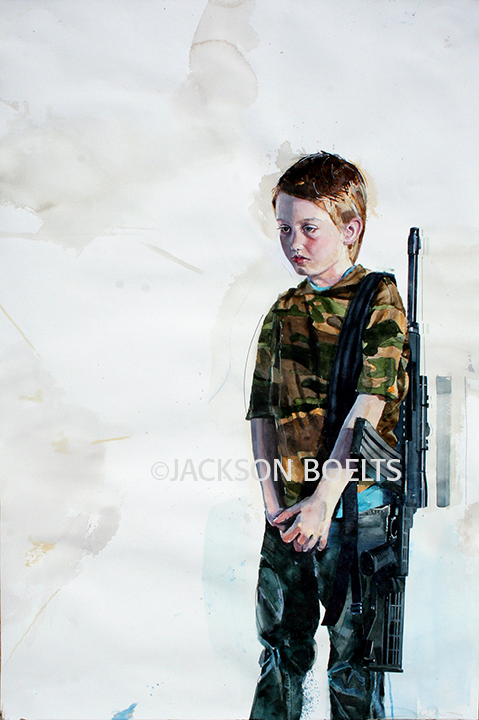 This series of work called “WAR ZONE: What if?” is delineated by large scale watercolor portraits, 30” X 44.5”, of children influenced by potential war in the western world. 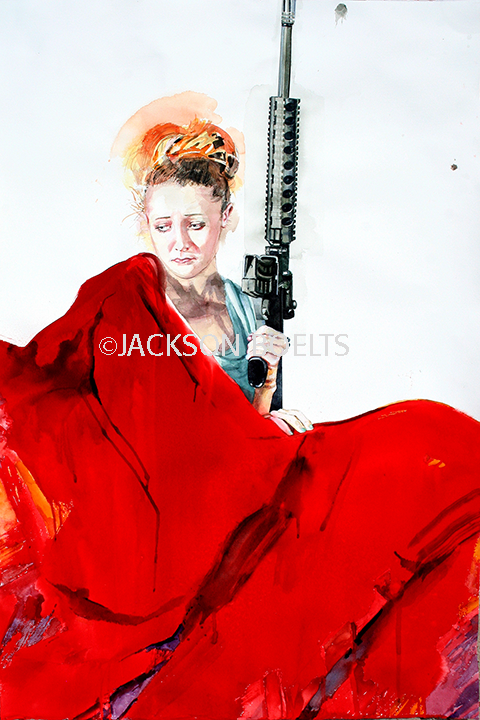 These works are available to view or purchase on an appointment basis.